NEW YORK -- General Electric Co. reported a better-than-expected quarterly profit Friday, helped by cost cuts and higher sales of its jet engines business that offset struggles in its oil and gas segment. The U.S. conglomerate, which is pulling back from financial services, also said third-quarter industrial revenue grew 4 percent, excluding the impact of foreign currency swings and acquisitions. The company maintained its profit forecast for its core industrials segment of $1.13 to $1.20 a share for the full year. 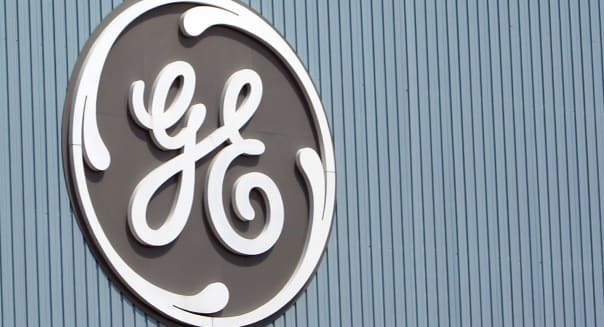 Connecticut-based GE's orders dropped 26 percent, with a big decline in oil-related orders, but Edward Jones analyst Jeff Windau said GE "had some big orders last year so the comparison was pretty tough." GE (GE) shares, up about 10 percent since activist investor Nelson Peltz unveiled a $2.5 billion stake in the company earlier this month, rose 1.5 percent to $28.46 in morning trading. It was the biggest percentage gainer on the Dow Jones industrial average (^DJI). On another positive note for shareholders, GE said it expects to retire as much as 7 percent of its outstanding floated shares by mid-November, as it completes the spinoff of its former retail finance business, Synchrony Financial (SYF). The Federal Reserve earlier this week said Synchrony could function as a standalone company. The Synchrony split is part of GE's massive retreat from financial services, which began in earnest in April when it said it would divest some $200 billion worth of its GE Capital financing assets to focus on industrial manufacturing. Including the Synchrony split, GE said Friday it expects to return about $30 billion in cash to shareholders this year through GE Capital divestitures. For the quarter, net earnings fell 29 percent from a year earlier to $2.51 billion, or 25 cents a share. Excluding items, earnings of 29 cents a share exceeded the average estimate of analysts by 3 cents, according to Thomson Reuters I/B/E/S. Revenue slipped 1.3 percent to $31.68 billion, with revenue in its oil and gas segment dropping 16 percent amid weakness in crude prices. Aviation revenue increased 5 percent, while revenue in its power and water division, its biggest segment, grew 1 percent. GE Chief Executive Officer Jeffrey Immelt expressed confidence its $3.3 billion sale of its appliances unit to Sweden's Electrolux would close this quarter, despite a challenge from U.S. regulators. Profit may come in at the higher end of the 2015 industrial forecast if the appliances sale closes during this quarter, as it expects, GE said.